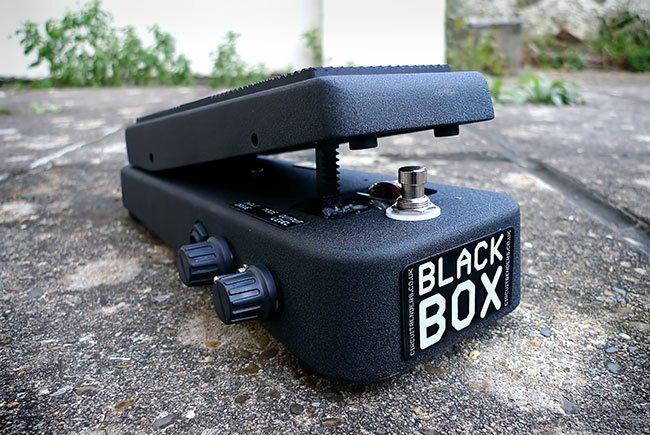 This is a special very limited edition version of our popular Black Box Audio Destructor FX unit. 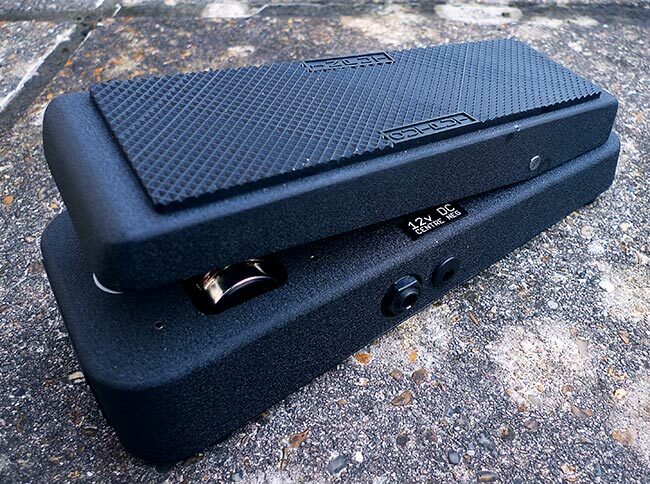 Normally these units are housed in small black desktop cases but in this case the effect has been mounted in a recycled heavy duty cast metal wah case so you can control the frequency of the effect using your foot. 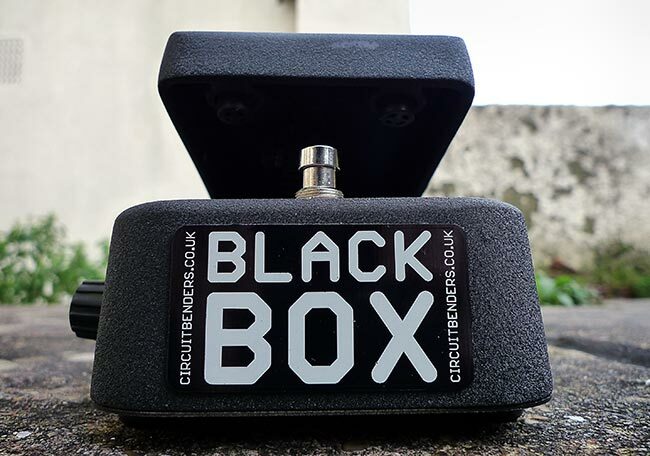 This is NOT a circuit bent wah pedal, it is a new effect built into a wah case. There are currently only about 35 or so of these in the world, one of which belongs to The Chemical Brothers, for some reason. Essentially this unit eats audio alive, then chews it up and spits it out in what can only be described as a brutally offensive manner. The unit can create a wide range of bitcrushing, gating, distortion and throaty synthlike frequency effects with an intensity that can be anything from a gentle thin crunch to a terrifying wall of unstoppable noise. 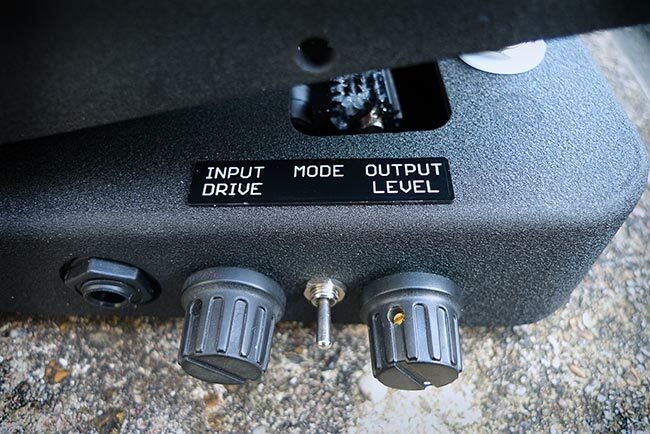 The controls consist of a input / drive level knob on the right of the case that sets how much of the signal is sent into the effect, an output level knob, a 3 way mode selection switch and a frequency control in the form of a wah rocker pedal. Much like a distortion or overdrive effect, the harder you push a signal into the effect the more intense and compressed the effect will be, but if you pull back on the input level with the knob ,or from a guitar volume control, the effects tend to become a lot less saturated and either start gating the input sound or turn into a nasty gritty fuzz. The effect is also sensitive to the kind of pickups you are using, with the different modes responding in a slightly different way depending on of you have single or humbucking coils. The pedal has a true bypass footswitch in place of the normal switch that was in there already. Selecting Crunch mode gives a spluttering crunchy distorted sound that can sound like anything from an old fuzz pedal with a nearly dead battery, to a mixing desk with every light running in the red. In this mode if you are using a guitar you may find that you need to boost the signal somehow before it reaches the unit if you have low output pickups. In Saturated mode with the switch in the central position you get a much more intense effect, where the input signal and the effect signal start to blend into one mighty noise, but with an addition of disgusting midrange splattering. In this mode you can get brutally saturated and distorted synth like tones running at the frequency of the input signal. The final mode is the Panic mode. Think of this as the Saturated mode with all subtlety removed. At certain settings in this mode the box starts playing a constant tone with the input signal interacting with the tone in bizarre ways. Most of the time though its more like an unstoppable wall of throaty vomit inducing destruction. On the left you'll find a 12v power supply input. 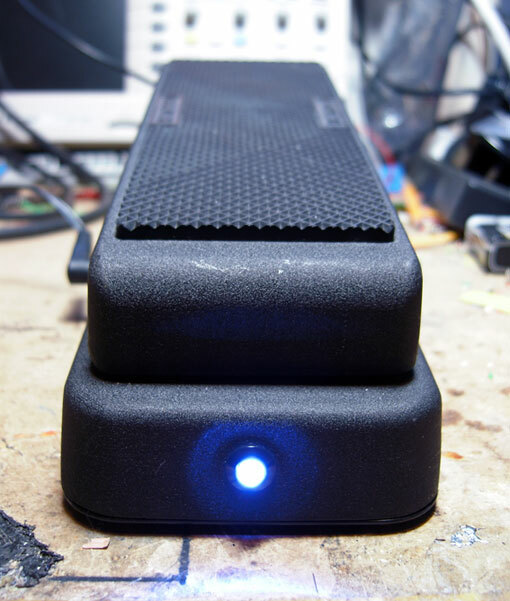 The pedal no longer runs from batteries so you will need an external PSU. This is not included but any 12v PSU with Roland/Boss polarity should do the job. On the heel end of the pedal theres a bright LED to indicate when the effect is turned on, although its hard to imagine that you won't notice! The cases for these pedals are recycled from wah pedals made by the likes of Ashton, Nevada, Meridian, Ruby Tubes etc. Every one of these pedals are identical Chinese imports, just with a different name badge on them. Sometimes they are brand new, other times they will have been used a small amount, but we don't use casings with any significant marks or scratches on them. If you are interested in buying this machine, get in touch via the CONTACT form.